The U.S. government is spending more than $81 billion on information technology. But only about 24% is spent overall on new systems, with the rest being used to maintain old systems. The Social Security Administration, for instance, has more than 60 million lines of Cobol, the agency’s Office of Inspector General reported last month. And the U.S. Defense Department is running some nuclear weapons support systems on an IBM Series/1 Computer, circa 1970s, the U.S. Government Accountability Office recently reported. Perhaps not surprisingly, political divisions play a role, says a new research report. 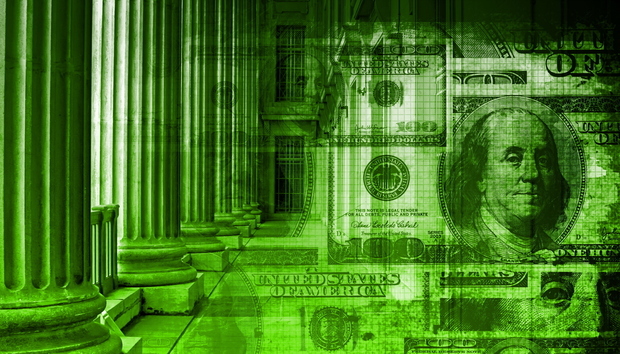 Government IT spending is “heavily influenced” by politics, said Min-Seok Pang, assistant professor at the Fox School of Business at Temple University. The most interesting finding, he said of the analysis of IT budget data, is that politics does not significantly impact the size of the federal IT budget. But it does have a stronger impact “on the allocation between new IT development and maintenance of legacy systems. “Under unfavorable political environments, federal IT officials become more risk-averse and avoid risky new IT development,” said Pang. The study, Politics and Information Technology Investments in the U.S. Federal Government in 2003-2016, is based on analysis of IT spending of those 13 years through the presidential administrations of George W. Bush and Barack Obama. He said his paper has been accepted for publication in the peer-reviewed, Information Systems Research Journal. Needless to say, the government has been divided in recent years, and examples of IT failures turning into political footballs -- notably the flawed rollout of Healthcare.gov -- illustrate this problem. But there are things the government can do to improve outcomes. One, according to Ming, is elevating the federal CIO to a cabinet-level post. The lack of centralized power appears to stymie some initiatives. The federal CIO today is a subordinate of the Office of Management of Budget. In 2009, for instance, President Barack Obama issued an executive order encouraging federal agencies to shift to cloud computing. But by 2014, however, only 1% of all federal IT investment was in cloud. Other factors influence IT investment. A federal agency is more likely to invest in new systems and build capacity, “when its chief executive is appointed with legislative approval, when the federal government is more united, and when it is ideologically more moderate,” wrote Pang. This study also found that when the head of a federal agency is not confirmed by the Senate for more than one year, an indicator of a divided government, the share of IT development is nearly 5% lower than otherwise. Congress is less likely to “bestow a large amount of funding” on an agency led by an unconfirmed official -- someone who is also easier to dismiss for an IT failure, the paper notes. For their part, government agencies avoid risk, fear budget cuts and elimination of programs they run, which helps to explain “why many federal agencies stick to decades-old legacy systems,” he wrote. Although there is variation agency by agency, the report found that government officials fear investments in new system systems, where failure could lead to anything from budget cuts to reputation-damaging congressional hearings. In those circumstances, maintaining the status quo becomes the preferred option.